I apologize for the cracks on the ganache. I wanted to feature a much better caption but that photo never fully developed for some mysterious reason. This is the next best thing that is remotely pleasing to the eyes. Among many desserts, I was first introduced to mint strips when I met my in-laws for the first time. Until then, mint oriented desserts and treats never interested me. I don’t particularly care for peppermint patties for that matter. They tasted like oversized breath mint to me. I passed on the mint custard pie when I was offered a slice but mint strips seemed more intriguing to me. I suppose their layout and presentation attracted me to them the most. After one bite, I had a change of heart for mint flavored desserts. I tried emulating my mother in-laws recipe several times but the results doesn’t measure anywhere close to her capacity of making these delightful treats. For those of you who are new to mint strips, they consist of three components: a brownie base, cream mint filling, and a chocolate ganache topping. 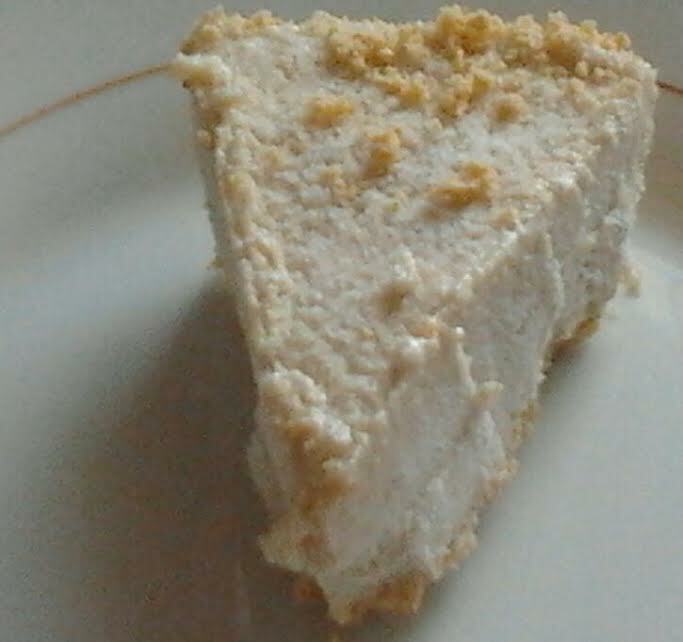 I decided to revise her recipe with a sugar-free vegan no-bake adaptation. I used avocado in lieu of margarine for the mint filling. I had the idea using carob powder instead of cocoa powder but hubby wouldn’t hear of it. I used pre-soaked pureed dates to retain the brownie layer’s fudgy texture, a compromise he was willing to make only this once. I asked him to choose between black beans and dates. Although hubby claimed that he slightly detected the dates in the brownies, I couldn’t taste the difference. I suppose I need to do a better job camouflaging the date flavors. He chose dates merely out of concern for my welfare. Although he much prefers the baked version, he permits me to use my own interpretation of the mint filling from hereon out. Since this recipe comprises of three steps and requires time to chill between each step, I suggest you make these mint strips ahead of time. Place chocolate chips in a deep shallow large bowl. Heat milk till the sides start to slightly bubble. Pour milk over chocolate chips. Let them rest for a few minutes before whisking them. Set aside. Place the remaining ingredients in a food processor and process till smooth. Fold them in with melted chocolate mixture. Transfer to an 8 inch square pan and spread evenly. Chill in the refrigerator for an hour or until firm. Puree avocado, creme de mint, and powdered sugar in a food processor until smooth. Add a bit of water if too thick or more powdered sugar if too runny. Pour mint filling over brownie and chill for another 30 minutes or so until set. Melt chocolate with margarine over a double boiler. Pour and spread evenly over mint filling. Allow the chocolate to harden and chill before cutting them up into 2 inch squares. 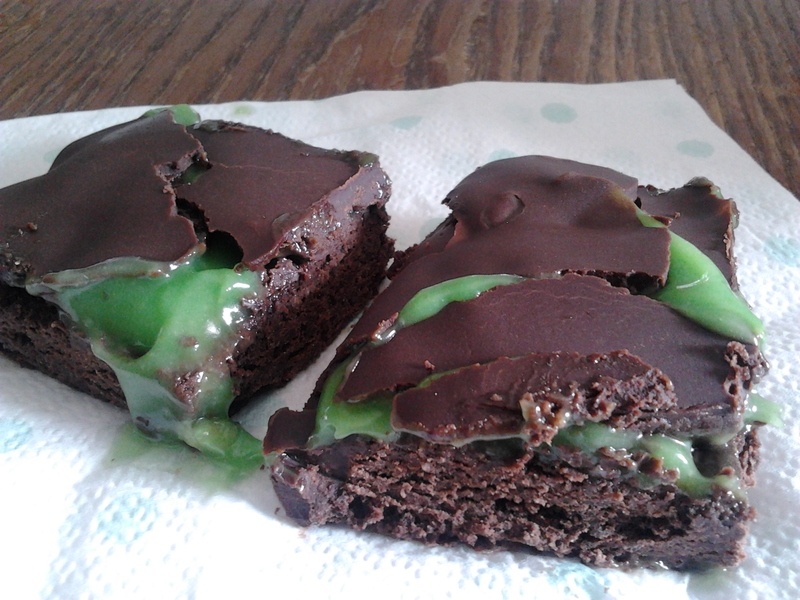 This entry was posted in Desserts, Sugar-free and tagged mint brownies, mint filling, mint strips, no-bake, vegan brownies.